of the Guard ceremony outside Buckingham Palace in central London. Thousands of tourists gathered outside the palace gates in crisp wintry weather Sunday as 86 sailors from 45 ships performed the familiar ritual, typically carried out by regiments of the Army’s Household Division. Warrant Officer 1st Class Eddie Wearing said he was daunted but excited by the chance to take part in the ceremony, which dates back to 1660. 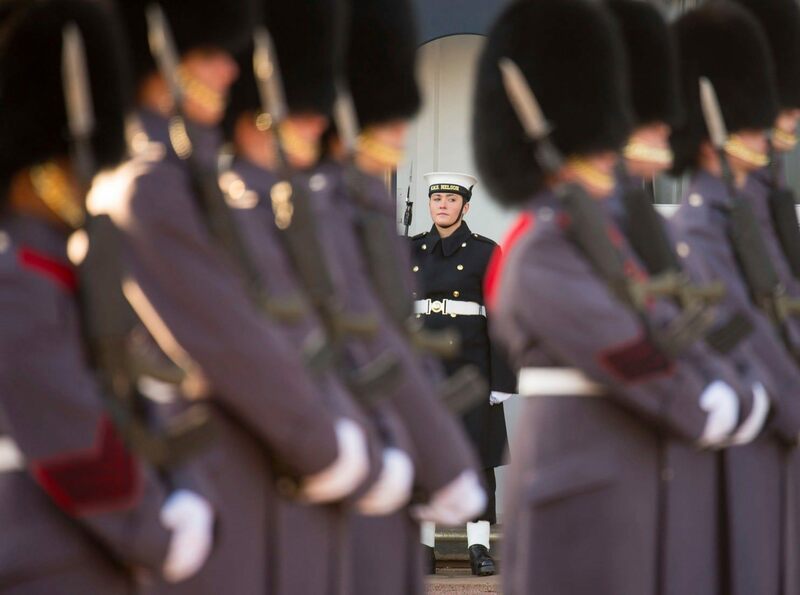 The Changing of the Guard has long been extremely popular with visitors to the British capital. Security has been upped in the last year because of concerns about possible extremist attacks.